(1846-1901) Encouraged by John Ruskin's enthusiasm for her art and her own success in producing books for children that were unprecedented in English publishing history, Kate Greenaway became an icon of the Victorian era. Her style is instantly recognizable and spawned many imitators. 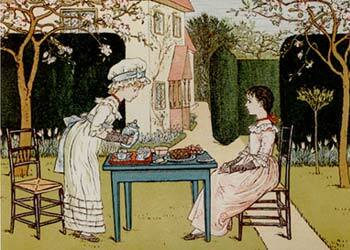 Kate Greenaway herself did extensive research for costumes and backgrounds, and she took her work seriously. The beautiful picture books she illustrated in the latter quarter of the 19th century have held their popularity and are still appearing in reprinted forms today. 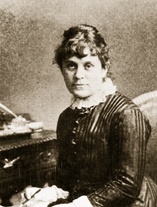 Kate Greenaway is both a perenially popular artist, as well as one of the giants of the Golden Era of children's illustration. 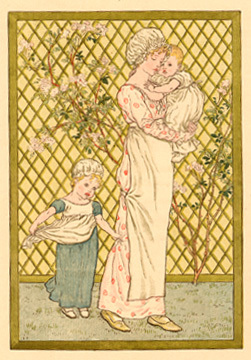 Along with Walter Crane and Randolph Caldecott, she revolutionized the field of children's books, making her one of the most favorite of collectible artists.